“Our church elder, George Masih, who is 70, was overseeing masons and labourers who were constructing the wall. We were praying [inside the church] when we heard shouting and yelling, and, when we rushed outside, we saw about 20 men, armed with clubs and axes, [who] were beating Masih and others,” said the pastor, who cannot be named for security reasons. He said he believed the men were linked to a local landlord. George Masih’s son, Babar, 22, who was wounded with an axe during the attack, told World Watch Monitor from hospital by telephone that his father had struggled for years to get the land on which the church was built dedicated for use by the church. “The attackers told us to stop building the wall as the land belonged to them. But we told them that this belongs to the church. At this they descended into fighting with us. Then our women tried to intervene but they too were beaten and their clothes were torn,” he said. In Pakistan tearing a woman’s clothes and “outraging her modesty” is a jailable offence. Another of George Masih’s sons, William, was also injured, as were his daughter Nasreen and daughter-in-law Jamila. The pastor said he had asked the local police station to provide security for the church, but they had not done so. “It would have been different if the church had been provided full security,” he said. The wall was later completed under police supervision. He said that members of the local police force, who were not available for comment, advised him that the Christians should not file a case against the attackers because doing so would create further tensions between local Muslims and Christians, the latter of whom are poor and few in number. 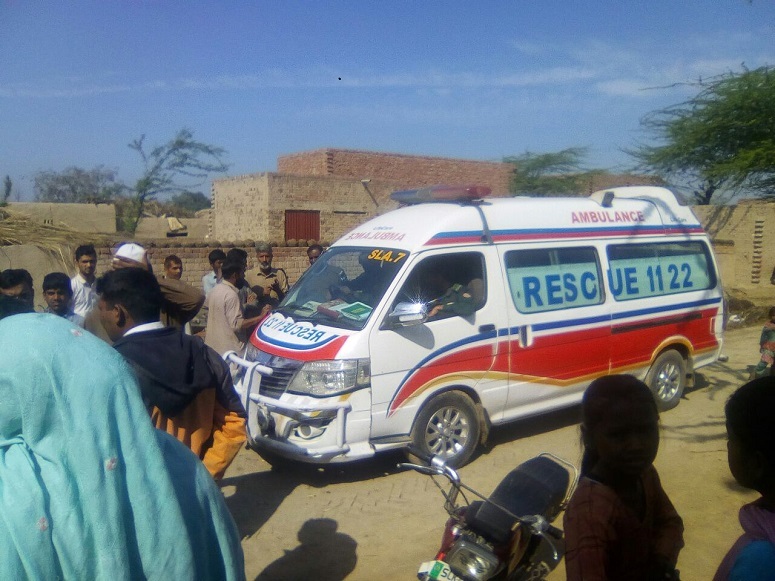 “[Christians] are also told that if they would seek filing of blasphemy charges against the perpetrators, then blasphemy cases would be filed against them as well, as there had been requests [to do so] from local mosques,” Minhas added. 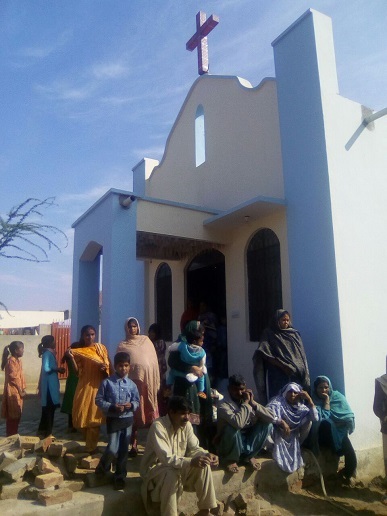 Meanwhile, several Christian families have fled their homes in Faisalabad, 100km north of Sahiwal, after a Muslim family with ties to a hard-line Islamist party invoked the country’s infamous blasphemy laws in a dispute with one of the Christian families. 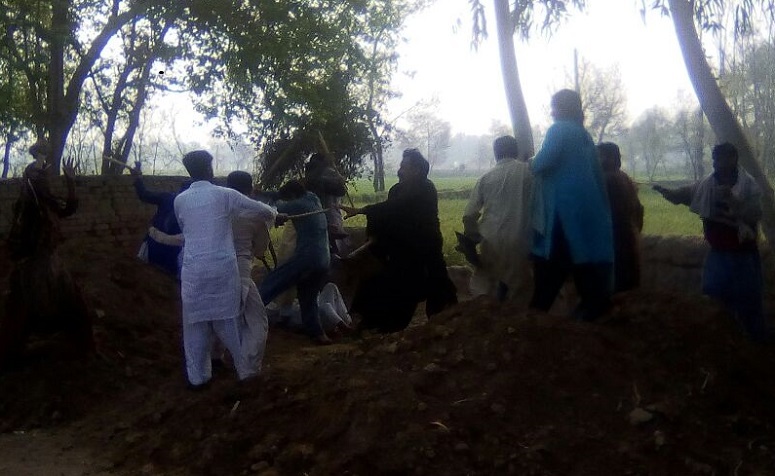 The six members of the Christian family were accused on 23 February of committing blasphemy in Elahiabad, a district of Faisalabad, by a Muslim family who belong to the Tehreek-Labaik Ya Rasool Allah party. 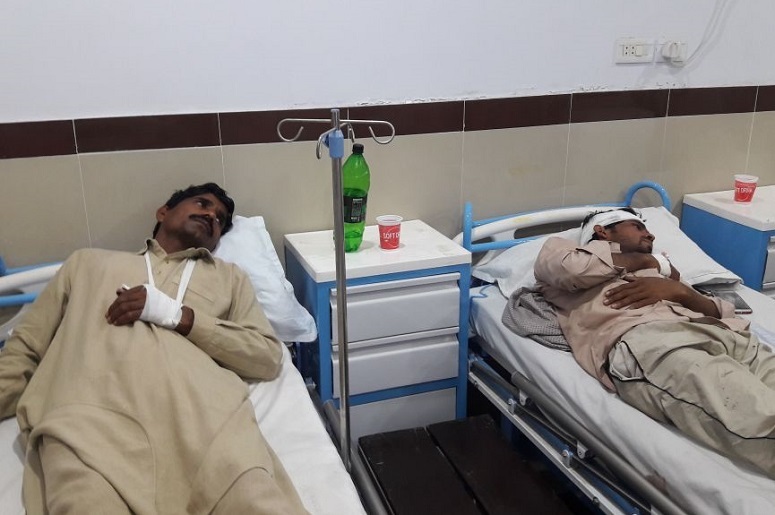 Zafar Iqbal, a human-rights activist from Faisalabad, told World Watch Monitor that “the two families started fighting with each other, at which guns were drawn and firing took place”.